Rockefeller students are part of a community that’s supportive, respectful, diverse, and fun. 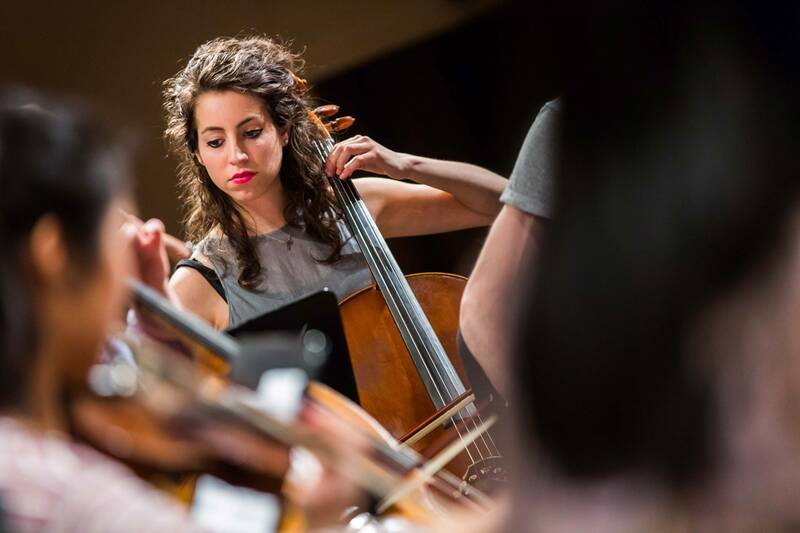 Rockefeller students participate in a variety of extracurricular activities, including a Tri-Institutional orchestra composed entirely of medical and scientific professionals. 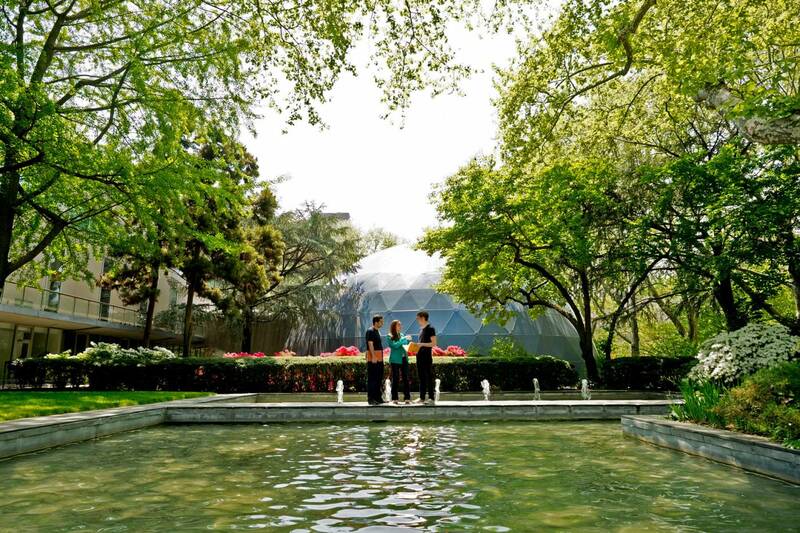 Rockefeller's leafy, serene campus comprises 14 acres of scientific oasis in the heart of Manhattan, with space for both work and play. The university's Caspary Auditorium hosts several lecture series that bring in the world's foremost scientists and thinkers for lectures and informal conversations. 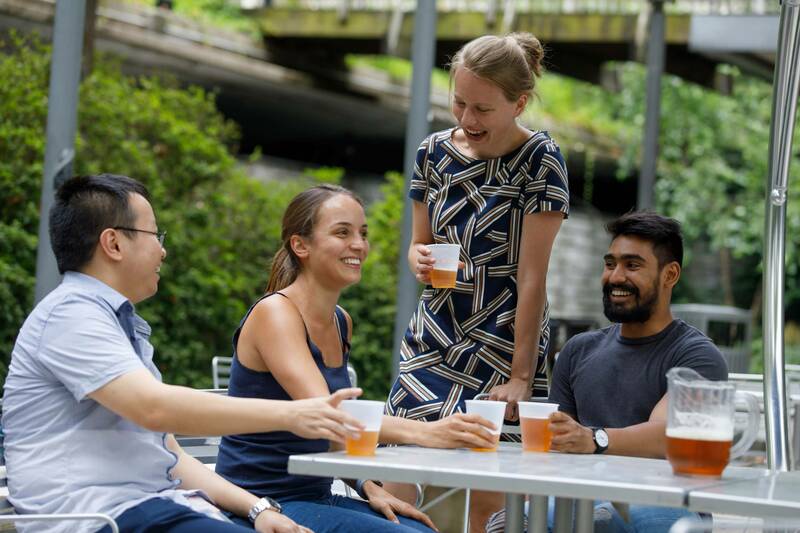 Rockefeller students take time away from the lab to enjoy barbecues, concerts, lectures, and film screenings right on campus, not to mention informal gatherings at the Faculty and Students Club. Athletically and musically inclined students can participate in extracurricular sports leagues and musical groups, including a Tri-Institutional orchestra composed entirely of medical and scientific professionals. The university’s Caspary Auditorium hosts several lecture series that bring in the world’s foremost scientists and thinkers for lectures and informal conversations. In addition to twice-weekly scientific lectures (Rockefeller faculty speak on Mondays, acclaimed researchers from outside institutions speak on Fridays) the university’s Insight Lecture Series brings speakers in public health, policy, arts and humanities. Rockefeller’s 14 acres and 22 buildings, set along the East River, serve as its students’ home base for their scientific explorations. Nearly all students, along with most postdocs and many faculty, live on or adjacent to campus, and their proximity keeps the grounds — and many of the labs — buzzing with activity late into the night. Because science isn’t only about lab work, the university offers numerous spaces for impromptu conversations that spur creative thought. For more than 50 years, the university’s Faculty and Students Club has been a relaxed setting for interactions among scientists of all ages and disciplines. The campus also offers athletic facilities — including a fitness center and tennis and squash courts — a full cafeteria, dining room and coffee cafe, a student lounge, a child care facility, campus-wide wireless internet access, an impressive art collection and numerous places, both indoor and out, to simply sit and think. The university’s library, which maintains an extensive collection of books, journals, and databases, also provides a computer facility and spaces for reading and study.